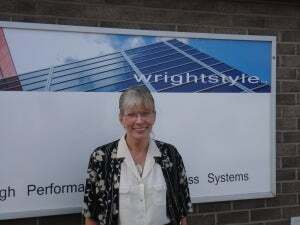 Wrightstyle is a specialist steel and aluminium glazing company and supplies its fire-rated systems internationally. Jane Embury, the company’s marketing director, looks at some of the influences facing the glass industry. The economic impact of globalisation affects us all, whether as businesses trading internationally or consumers buying locally, with corporate success and individual purchasing decisions heavily influenced by nothing more than perception. At a national level, the Anholt-GfK Nation Brands Index, which ranks countries against a number of criteria, offers some insight by measuring global perceptions based on the overall dimensions on which national image is based, including tourism, exports, governance, sport and people. In 2014, in rank order, the top countries were Germany, the US, the UK, France, Canada, Japan, Italy, Switzerland, Australia and Sweden. The US, previously in first place, seems to have been dislodged by worries over security policy, while Germany has benefited from strong (perceived) European economic leadership and success in the FIFA World Cup. Based on some 20,000 interviews across many countries, it is of course a snapshot of personal opinions. It is, however, valuable as we are all hotwired to think in shorthand. For example, think of Italy, and what do you associate it with? Pizza? Ferrari? But do you have a positive view of Italian manufacturing quality? In some instances, the national brand guessing game is easy. For example, despite being on the losing end of two world wars, Germany has achieved an international reputation for engineering quality, and top of the global Index. Likewise Japan which once stood for cheap and second-rate, but whose automobile and electronic industries now stand for excellence. "A report published last year by Global Construction Perspectives and Oxford Economics estimates that the volume of construction output will grow by more than 70% to $15 trillion by 2025." The main lesson is that globalisation, a relatively new phenomenon, is powering the ways in which we think and make purchasing decisions. We like Japanese electronics; we admire German engineering; and we admire British democracy. The perceptual clutter that we carry around subconsciously influences how and what we buy. That’s as important to the glass industry as it is to every other industry, with global demand for flat glass set to rise by more than 8.5% a year to 11.5 billion square metres in 2018, to a value of up to $110bn, by one estimate. A report published last year by Global Construction Perspectives and Oxford Economics estimates that the volume of construction output will grow by more than 70% to $15 trillion by 2025. Other estimates suggest that China will have more than 20% of that market. India is also expected to overtake Japan by 2018 as the world’s third-largest construction market. To meet that demand, national and international manufacturers have been stepping up production – and it, too, is a global business. Some 16 countries in the European Union alone make flat glass, although some 16 float glass lines were closed during the economic downturn. With demand rising, the country that most observers are keeping an eye on is China. With China consuming some 50% of global capacity, their flat glass lines are busily expanding. But if domestic demand slows, then China will have to look overseas, as it does already with specific segments such as solar panels, picture frames, mirrors and furniture. However, globalisation has also had a different dynamic in another part of the glass industry, one that has had little to do with cost, and everything to do with quality, both real and perceived. That not-so-niche market is in advanced glazing systems to mitigate against fire, ballistic or bomb attack. What’s been increasingly recognised by building designers is that the safety of the glass can’t be assessed without its framing system. Put the right glass into the wrong frame, and you could be turning sixty minutes of fire-resistance into five minutes. In an evacuation situation where seconds count, getting the design wrong at the outset could be a costly, and deadly, mistake. And that is the nub of the global marketing dynamic, because there are very few companies that have specialised in the totality of integrated glazing systems to deal with enhanced threats. Float glass may be global both in manufacture and demand, but advanced glazing systems are still the preserve of specialist companies. It’s why Wrightstyle systems are specified worldwide – against typhoon weather in the Asia Pacific region, against bomb threats in the Middle East and elsewhere, and against fire in every region internationally. We’ve also tested our internal and external systems in the US, which still incorporates the infamously hard-to-pass hose stream test into their accreditation process. It comes back to perception, and how companies market themselves and their products. We like to think that perceptions towards Wrightstyle, real and imagined, continue to impact positively on purchasing decisions. Being British and a proven specialist does have its advantages, even in a global market!